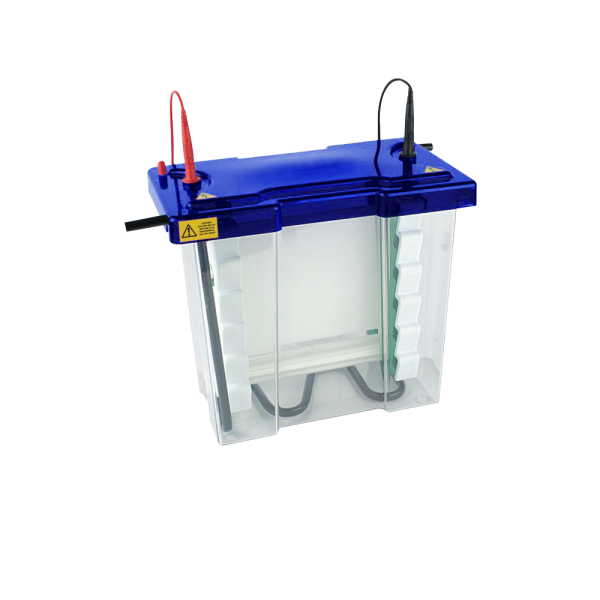 SymphonyW Maxi Vertical Electrophoresis System is a multipurpose system for various applications such as native, gradient and high resolution nucleic acid electrophoresis, first and second-dimension SDS-PAGE as well as capillary tube gel IEF or IPG strips and blotting. It has a unique vertical screw-clamp design within the PAGE insert that only requires four screws to secure up to four 20 x 20 cm gels. This design is advantageous with a faster setup time compared to traditional clamping configuration, with as many as 24 screws to secure just two glass plates. Leakage during casting is prevented by providing even pressure along the height of the gel instead of the centre to eliminate plate bowing and gel compression. 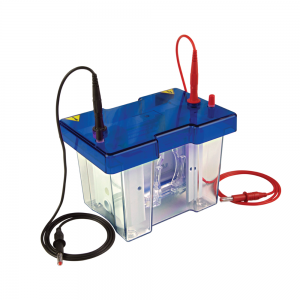 For smile-free electrophoresis and high voltage runs, a detachable inner cooling coil can be connected to the laboratory water supply or recirculating chiller. 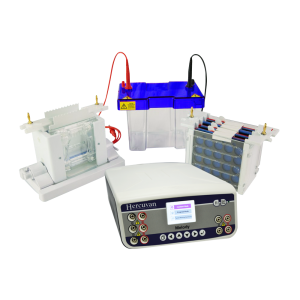 The system is useful for large format electrophoresis with extended separation distances, high sample throughput and more efficient resolution. A 4-gel TETRAD system is also offered to allow external gel casting while running to save time. The TETRAD system comprises additional plates with spacers, combs, casting base and external casting upstand. Save time by using the dual purpose PAGE insert, no more time-consuming transfer of glass plates between separate casting and running modules. Obtain ‘clean’ well formation with ground glass plates with bonded injection moulded spacers which are consistent with comb thickness. Additionally, this also provides correct alignment for leak-proof casting. Ultra-soft silicone mat within the cam-caster prevents glass plate misalignment and ensures leak-proof casting.